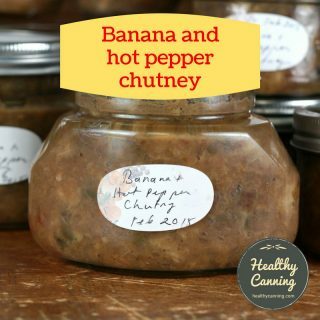 Today’s home canners want to make jams that are as good for you as they taste: they are looking to make wholesome, nutritious jams that aren’t going to cause teeth to rot in your head, send you into white refined sugar shock, and pack on the weight — which is the last thing most of us need! Most jam recipes from all the tested, reliable sources require you to add anywhere from 5 to 9 cups (1 to 1.8 kg) of sugar per batch, for just a few jars! One jam recipe promoted by Ball in 2015 on their Facebook page, carrot jam, calls for 8 1/2 oz of sugar per 8 oz jar of jam being made. 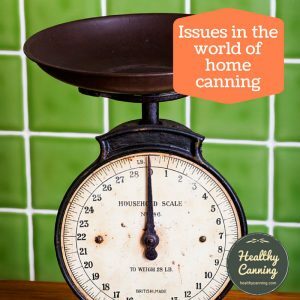 Let’s face it: you’re basically making fruit-flavoured sugar, and while old-time canners may be used to that, many modern canners are shocked by it and just don’t regard it as acceptable any longer. On this page, we’re going to examine the topic of making sugar-free fruit spreads such as jams, jellies and marmalades. Note: the real challenge in finding something to use instead always boils down to the bottom line of people’s individual tastes. No matter how well something performs, you will never please everyone’s taste buds, and it’s a fool’s game to try. You will always find someone who curls up their nose at the taste of something. That may be part of the reason big companies such as Ball continue promoting the heavy use of sugar: it’s the path of least resistance. What about the 5 minute processing question? Marmalade: citrus added, including citrus peel or rind. Fruit syrup: sweet, thickened fruit juice. Sugar will make jams and jellies set hard because, with the quantities of sugar traditionally called for, they are essentially candy. Some people point out that adding tons of refined sugar to get a set on jam is, in fact, a very modern way of making jam, as the sugar wasn’t available and when it was, it was an extreme luxury; that the true traditional way of getting a set in jam was boiling and boiling it till it set naturally, though that would have been a softer set, certainly. Sugar’s preservative effect is to, in effect, sort of mummify the fruit. It is not safe to make preserves from these unless you have a tested recipe. 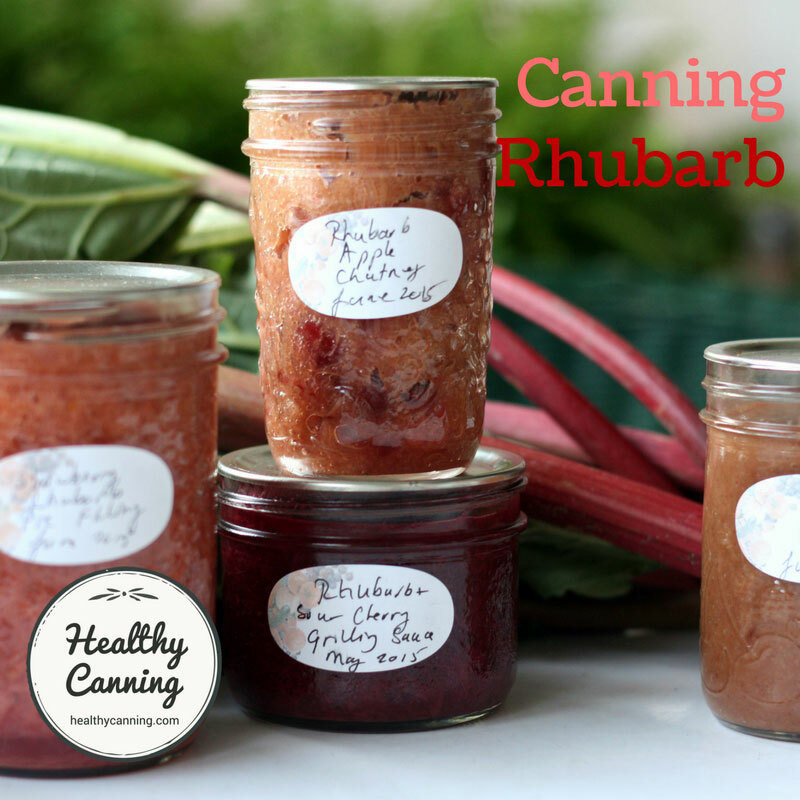 A method was developed for safely canning figs by adding acidity to them. 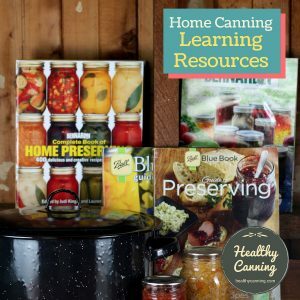 There has been no safe, proven method developed for canning any variety of melon (aside from converting it to melon pickles and then canning it.) Watermelon jam or jelly is highly unsafe. There are no tested recipes for it and people have contracted severe cases of botulism from it because the low-acid nature of it allowed the botulism toxin to develop in the product. Most fruits – peaches, pears, apples, and oranges are good examples – are high in acid, they have a pH of 4.6 or below. Melons (honey dew, watermelon, and cantaloupe) are an exception to this. Melons have an average pH of 6.2, they are low in acid. 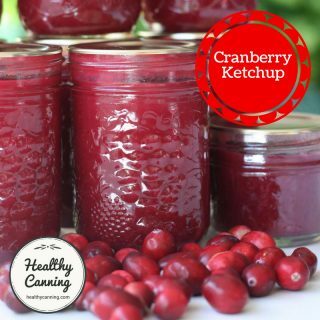 Because these fruits are low in acid, they can not be safely canned in a boiling water canner unless the product is significantly changed by adding a lot of acid or sugar. The amount of acid added to jams and jellies to help pectin to gel is not enough to ensure the safety of watermelon jelly. And no tests have been done to indicate just how much sugar would be needed for a safe jelly.”  Ingham, Barb. Safe Preserving: Watermelon Jelly. 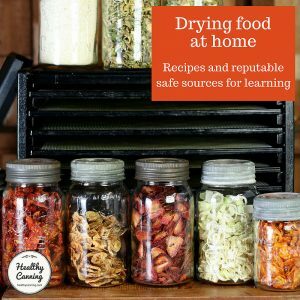 In: Safe and Healthy: Preserving Food at Home. University of Wisconsin-Extension Cooperative Extension. 30 August 2013. Accessed January 2015 at: https://fyi.uwex.edu/safepreserving/2013/08/30/safe-preserving-watermelon-jelly/. The environment has to be acidic for the pectin to even work. Note that it’s not the sugar that makes the jam or jelly safe, but rather the acidity levels. 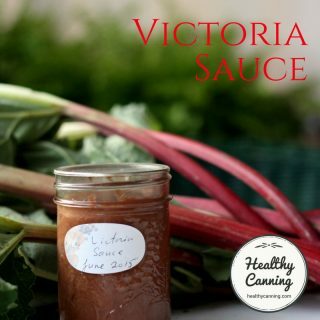 While truly extreme concentrations of sugar can prevent botulism by reducing water activity (taking water away that botulism bacteria would need to do anything), the fact is almost no home canning recipes call for enough sugar for the sugar content to do that. Instead, acidity is relied on. In fact, many commercial packaged pectin mixes contain added citric acid, which helps improve the safety of the product being made with it. 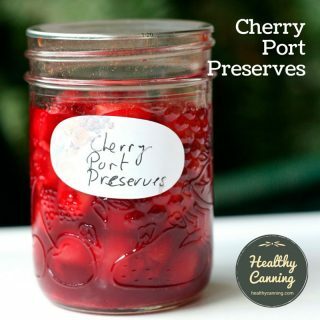 The National Center for Home Food Preservation did a blog posting in August 2014, listing 4 ways to make sugar-free jams  Christian, Kacey. National Center for Home Food Preservation. Want to Make Sweet Spreads, but Don’t Want to Add Sugar? 1 August 2014. 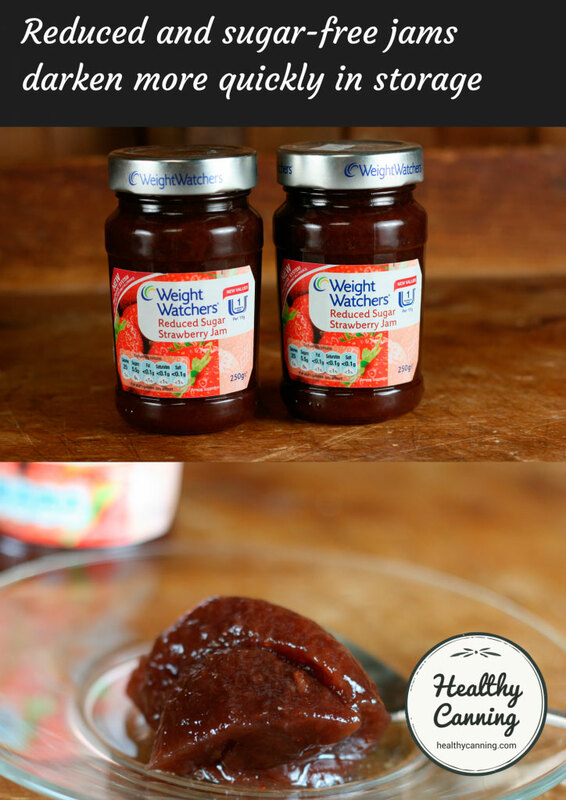 Accessed June 2015 at https://preservingfoodathome.com/2014/08/01/want-to-make-sweet-spreads-but-dont-want-to-add-sugar/ . Their concern in this blog posting is how to get acceptable quality from sugar-free fruit preserves. Specially modified pectin, (aka low methoxyl pectin) is sold labelled as “light” or “no sugar needed” pectin. Recipes on leaflets accompanying the products will usually give the options of using a little sugar, or none at all. Those leaflets, however, from the big-name makers such as Ball, Bernardin or Sure-Jell, offer only a small, limited handful of recipes. 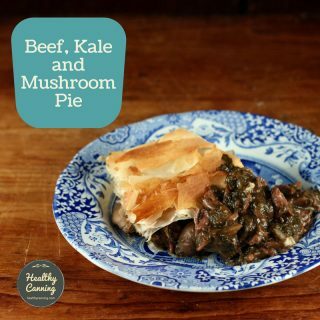 Other no-sugar needed pectins, such as Pomona, have recipe books and whole recipe websites dedicated to them, offering the user a substantially wider range of recipes to choose from. 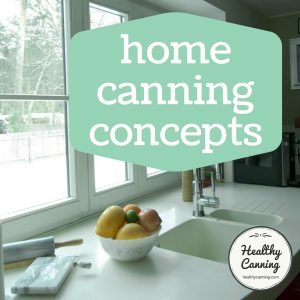 Healthycanning.com would just add the precaution that some of these new modified pectins can gel anything — even plain water. That can be a danger. First, bear in mind that the safe pH range for shelf-stable fruit preserves is 4.6 and lower. Older, traditional pectins would only gel if the product was in a narrow pH range (between approximately 2.8 and 3.6. ), which coincidentally also happened to be low enough to ensure the safety of the product. The new ones can gel in a pH up to 7, which is way above the safety cut-off of 4.6. Consequently, this is yet another reason to make sure you are using only tested recipes (which will have a safe pH range either naturally from the fruits or from added acidity such as bottled lemon juice) when using these new pectins. You don’t want to be serving up botulism spread to have with toast and tea. Here’s a brief video overview of no-sugar-needed pectins . The main speaker is Dr Martha Zepp from PennState Extension. Occasionally you may find recipes calling for regular pectin and reduced or no sugar, but these are rare. Someone will have probably gone to a lot of (expensive) trial and error attempts to get a recipe that works. Better them than you. That being said, the long-boil method is probably not going to be satisfactory for most people with today’s expectations of what a jam should be like. The jam can become gummy and caramelly tasting. Some varieties of fruit may perform slightly better than others: some have suggested that, for instance, small cultivars of strawberries such as Alpine are better in a long boil jam than larger cultivars such as Driscolls. 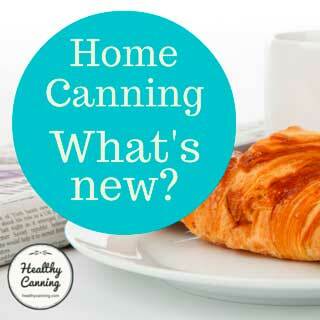 They also suggest that a quartered green apple added and then removed before canning may add some pectin. Blog discussion at https://dinersjournal.blogs.nytimes.com/2009/06/01/preserving-memories/#more-3693. Accessed June 2015. In any event, all that being said, Washington State Extension Service has actually gone ahead and developed and released jam recipes using Clearjel. Please note that while these jams are supported by the Extension, they are not currently (2017) promoted / supported by the National Center. The following applies to recipes that don’t depend on the addition of refined white sugar for the gelling of the fruit spread to happen. These sweeteners won’t perform well if that is a requirement for a particular jam recipe. Stevia is a natural product derived from a plant, just as sugar is. Less pure forms of it can have aftertastes including bitterness– just as raw sugar cane can. Purified forms of stevia (such as the liquid concentrate made by Better Stevia) do not. None of the public sector bodies (NCHFP, USDA, University Extensions) have publicized yet any work they might have done with it. The University of Kentucky and Penn State seem to be saying that they don’t foresee any problems with it and appear to give a nod towards its use as a sweetener in canning. In the private sector, none of the Jarden recipe sources (Ball or Bernardin ) have released any recommendations for it yet one way or the other — but, with respect, some of their recipe writers are very yesteryear at times and as such are heavily reliant on massive amounts of sugar and salt, and appear unaware of, or impatient with, or resistant to the changing market. But the more progressive people over at Pomona pectin do give guidelines for jams with concentrated (liquid) stevia. 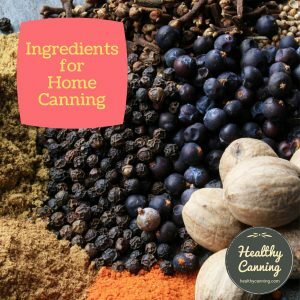 HealthyCanning.com has chosen concentrated, liquid stevia as its sweetener. It’s easy to use, calorie-free, has a pure clean sweet taste with no aftertaste, and appears to provide quality results. We use it as the sweetener in jams and jellies made with no-sugar needed pectin, either Jarden Brand (Ball or Bernardin) or Pomona, using tested recipes from from those companies. In such recipes, where any sweetener at all is optional, liquid stevia is ideal as there is no danger of it affecting the texture or composition of the recipe, while still providing satisfying sweetness. Saccharin is not recommended for taste reasons. Pomona pectin allows for the use of honey in many of its recipes, without any adjustments to the rest of the recipe being required. It may affect colour slightly depending on what you are making and how darkly-coloured your honey is. Note, however, that honey is pH neutral. It will impact the acidity of what you are making, sometimes lowering it. We haven’t worked with this, or seen anything else about it (as of 2017), we are just passing it on for other people researching the topic. 1. Longer processing times would be needed for proper heat penetration, and you have no way of knowing exactly what it would be. Smaller jars than called for would appear to always be fine. The standard head space for jellies and jams is 1/2 cm (1/4 inch). This applies regardless of the size of jar you pack the jam into, and whether the jam is sugar-free or sugar-laden. In summary, it appears it may be important to process reduced or sugar-free jams and fruit spreads longer than high sugar ones. 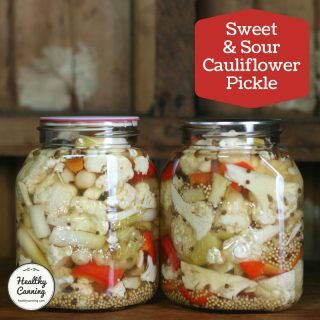 The problem with under-processing a high acid food, from a botulism standpoint, is that there are certain molds which can, if they take hold in your preserve, actually change the pH so that your formerly safe high acid preserve becomes low acid. Low acid means risk of botulism spores germinating, and we are back to a potentially dangerous product. The chance of this happening in a high sugar, high acid preserve is very remote, but more likely in the lower-sugar jams I tend to make. Processing in a bwb canner for the full time recommended in a tested recipe insures that mold spores and other bacteria that might be in the jar before processing are destroyed.” Strauss, Eric. Blogger. Comment dated 26 August 2013, at https://www.nwedible.com/2013/07/how-not-to-die-from-botulism-what-home-canners-need-to-know-about-the-worlds-most-deadly-toxin.html#comment-64805 . Accessed June 2015. This means that if you’re doing low-sugar jams, then it’s even more important to use modern processing recommendations. But that’s not a problem, or hard to do, because the tested recipe that you are using, from a reputable source, will give the correct processing time for your low-sugar jam, anyway! Sometimes you may find it’s the same as for similar high-sugar jams — but that’s fine, because their testing lab will have figured it out. Do not use paraffin wax as a sealer, or single-piece lids, or clip-top hinge lids, etc. Do not turn jars upside down after processing. It’s highly doubtful that any reduced or sugar-free jam recipe would call for a 5 minute processing time. We’ve seen above, required processing times tend to longer for these products. But we’ll cover it here anyway as this is the jam page. There are a few storage issues to be aware of. They aren’t show-stoppers, but it’s good to just be aware of them. But as Morris points out, and as we saw in the section above on processing times, this issue is dealt with by longer processing times in the water bath, which your tested recipe from a trusted source will already have provided you with. As well, no-sugar needed pectins from Kraft® (Sure-Jell® ), Mrs Wages® (Lite Fruit Pectin) and Jarden (Ball® and Bernardin®) also may have preservatives added to them to help out. In consolation, though, note that those sugar-laden jams aren’t safe from mould concerns, either: “Despite the high-acid content of fruit and the large quantities of sugar that are used to make jellied products, mold growth often occurs on the top.”  Boyer, Renee R. and Julie McKinney. Boiling Water Bath Canning: Including Jams, Jellies, and Pickled Products. Virginia Cooperative Extension. Publication 348-594. 2013. Page 12. Accessed March 2015 at https://pubs.ext.vt.edu/348/348-594/348-594_pdf.pdf Water bath processing minimizes the risk. Ibid. Page 12. The colour of your reduced or sugar-free jam will change faster than the colour of sugar laden jams. It happens even with commercial ones. This won’t affect the quality, the safety or the taste, and besides, the USDA wants us to use up home canned goods within a year anyway. In some cases, the preserves may darken. In others, they may fade. But when stored in good conditions, this colour change shouldn’t even start to be noticeable until approaching the second year mark. This commercial low-sugar strawberry jam was a bright red at first in the (unopened) jars. The colour darkened with the passage of time, even though the jars had been still unopened. We’re all used to opening a jar of store-bought, high sugar jam, using a bit, putting the lid back on and putting it back in the fridge and then using it sporadically over the next few years — and it’s fine. That’s not going to happen with reduced or sugar-free jams, whether store bought or home made. Sugar’s real role as an aggressive quality preserver really comes into its own once your sealed jar is opened. Even refrigerated, moulds will slowly attack it, and without sugar to kill the spores by depriving them of water, will eventually win. Consequently, unless you are routinely feeding crowds, reduced or sugar-free jams may be better made in smaller sizes such as 1/4 litre (250 ml / 1/2 US pint / 1 cup) rather than larger, “farm hands breakfast table” sizes such as 1/2 litre (1 US pint). Or smaller even, such as the 125 ml (1/4 US pint / 1/2 cup) sampler sizes. Aim perhaps for a size you can use up within 4 to 6 weeks, refrigerated, once opened. Jams made with pectin with preservatives in it will probably experience a longer “after-opening” life than preservative-free ones such as Pomona. Don’t use a food processor on fruit for jam: the blade of a food processor damages the natural pectin in fruit. Clearjel for Jam: Austin, Joanne. Using Clearjel. WSU Skagit Country Extension. October 2007. Driessen, Suzanne. Low Sugar Alternatives for Jams and Jellies. University of Minnesota Extension Service. 2014. Gupta, Sujata. What Makes A Jam A Jam? Surge In Savory Spreads Presents Riddles For Purists. NPR Digital Media. 22 August 2016. Hart, Anne. 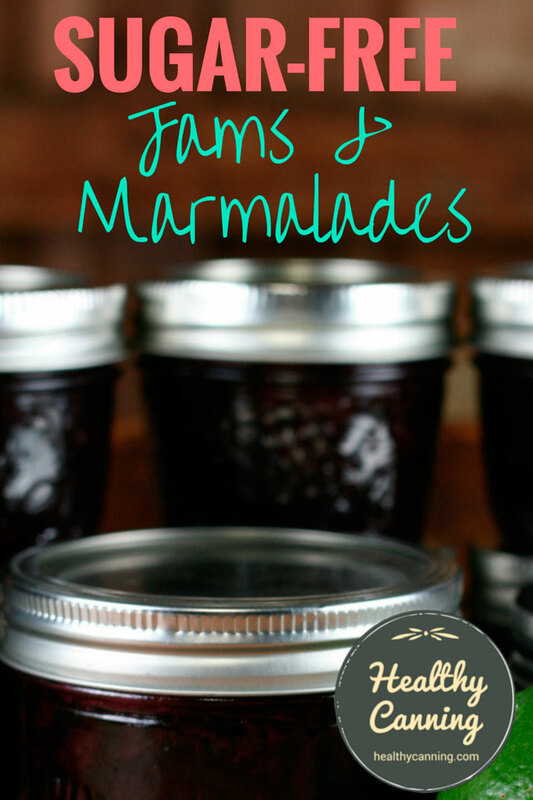 You don’t have to add sugar to homemade marmalade, jam, jelly, or fruit butter. Examiner. 11 January 2012. 5. ↑ Ingham, Barb. Safe Preserving: Watermelon Jelly. 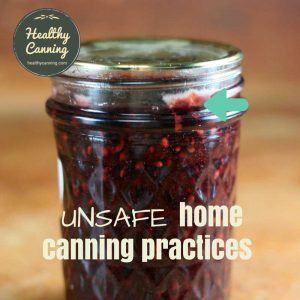 In: Safe and Healthy: Preserving Food at Home. University of Wisconsin-Extension Cooperative Extension. 30 August 2013. Accessed January 2015 at: https://fyi.uwex.edu/safepreserving/2013/08/30/safe-preserving-watermelon-jelly/. 9. ↑ Blog discussion at https://dinersjournal.blogs.nytimes.com/2009/06/01/preserving-memories/#more-3693. Accessed June 2015. 26. ↑ Strauss, Eric. Blogger. Comment dated 26 August 2013, at https://www.nwedible.com/2013/07/how-not-to-die-from-botulism-what-home-canners-need-to-know-about-the-worlds-most-deadly-toxin.html#comment-64805 . Accessed June 2015. 33. ↑ Ibid. Page 12.